Celebrate Father's Day with The Lucky Charm! IT'S COMPETITION TIME AT THE LUCKY CHARM! 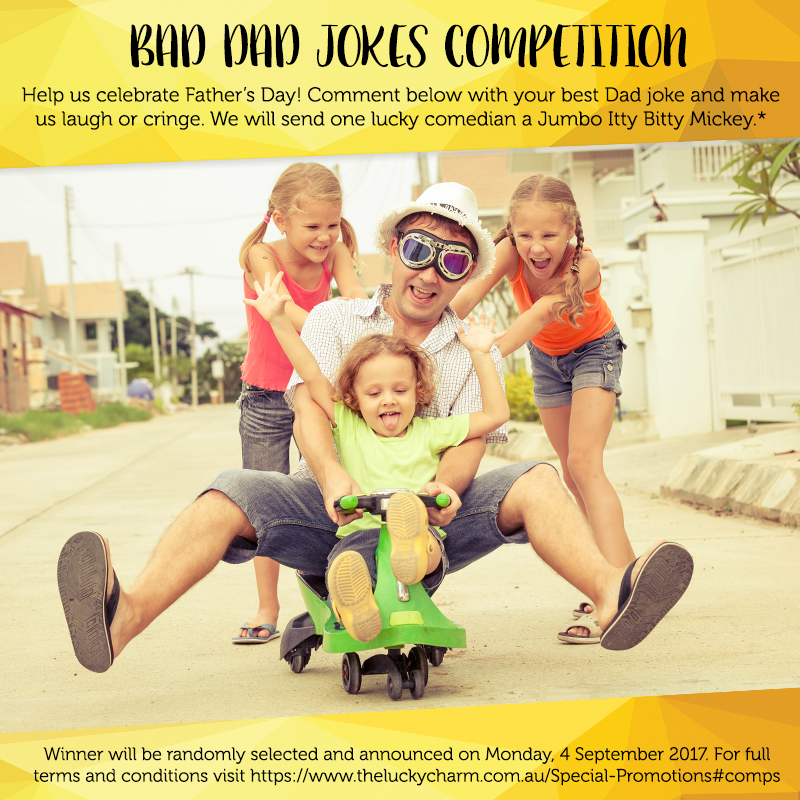 If you want to go in the draw to WIN a Jumbo Itty Bitty Mickey head to The Lucky Charm Facebook page and comment below on this photo with your best dad joke! The winner received a Jumbo Itty Bitty Mickey. Competition closes 4th September 7.00 am so be quick! It's your last chance to enter. Older PostFather's Day Prize Giveaways!